In an effort to recognize Gwinnett’s small businesses and entrepreneurs as pivotal to America’s economic growth and stability, the Gwinnett Chamber and presenting sponsor Purchasing Alliance Solutions hosted the 2016 Pinnacle Small Business Awards luncheon and ceremony on Tuesday, Oct. 18, at the Infinite Energy Forum. In conjunction with the third annual Small Business Summit, the event honored dozens of successful small businesses and entrepreneurs for their extraordinary achievement. 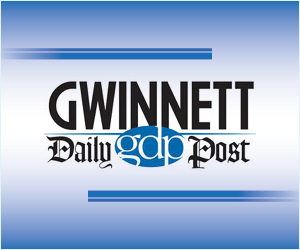 Green Financial Resources, LLC received the 2016 Overall Gwinnett Small Business of the Year Award and will go on to compete for the U.S. Chamber Dream Big Small Business Award. Green Financial Resources, LLC was also the category winner of Family-Owned Small Business of the Year. The Martin Birkbeck Agency of American Family Insurance has fostered a culture of treating clients like family. Cartridge World is recognized as the industry leader in replacement ink and toner cartridges worldwide. They provide high quality replacement printer cartridges at more affordable prices, for all major brands. They offer people a choice to save money on something they already use while protecting the environment. Secure shredding, new and refurbished printer sales, printer repair, recycling rewards, free printer leasing program for businesses and mobile printing are additional services available in their two store fronts in Gwinnett County. They work as a team and each employee has the authority to follow through with their 100% customer satisfaction guarantee. Halski Systems provides Georgia IT network design, installation, administration and consulting services to small, mid-size and enterprise level businesses in metro Atlanta and North Georgia. With a full range of customized, flexible IT solutions they tailor each client’s individual needs while implementing a cost effective IT solution and managed services in offices with five to 5,000 employees. Every Halski Systems customer is supported by a team of certified consultants trained in the latest technologies. They provide a 24/7/365 tactical help desk team. Halski is committed to the community in which they do business. Green Financial helps people plan for their successful retirement by focusing on providing stellar customer service, educating the community and giving back to the community. President/CEO Roger Green manages approximately $385 million in assets and has more than 1800 clients trusting in him – a high achievement in this field. Since 1997, he has educated thousands through the classes he has taught at Gwinnett colleges, and since 1998 through his weekly radio program. Roger has held thousands of meetings with individuals to help them plan for brighter financial futures. GFR and Roger give back to the community through service and financial guidance, and Roger and his firm have won a long list of awards and recognitions for these accomplishments and contributions. The culture and purpose of Organized Chick is to operate by their mission statement: allow our clients the ability to balance their lives better by implementing organizational system processes into their home or business life. Organized Chick is committed to solving our clients’ needs for organization and system-processes. Client satisfaction and professionalism is their highest priority with every project. Their service goal is to help clients become more effective and efficient in their business and personal life by creating simple organizational systems and positive environments that allow businesses to grow and families to have less stress and chaos. The Schoolhouse is a learning community for ages one to eight dedicated to providing young learners an “Ivy League Beginning.” Their approach to learning is a philosophy rooted in the preservation of a child’s unique learning style, innate desire to be curious, and, more importantly, fulfilling his joy for the outdoors. Their community’s culture is directly connected to their mission to foster a partnership with families and the Gwinnett community at large. They believe this is the main ingredient for creating unimaginable learning experiences and supports their efforts to cultivate learning, challenge and choice. The ACE Women’s Business Center (WBC) opened in January 2015 to empower women, people of color, low-to-moderate income and other underserved entrepreneurs through financial education and training. The Center’s host organization, Access to Capital for Entrepreneurs, is a nonprofit economic development organization providing business advisory and small business lending services to underserved populations across North Georgia and metropolitan Atlanta. The WBC provides services for women, and men, at all stages of business planning, implementation and growth. Their services are available in English and Spanish. As a nonprofit agency, the WBC provides most services free of charge. At the family-run automotive service and repair shop you will not only have your vehicle taken care of, you will feel respected and empowered. Their team will explain the diagnosis of your vehicle in language you can understand while also carefully illustrating recommendations. They offer the expertise of ASE-certified technicians to help you make the best decisions for your vehicle and your budget. As experts in quality service and repair, they take the time to keep customers’ safety and budget top of mind. Simply, they are the auto shop you can trust to have high morals, integrity and skills to get the job done right the first time. Sterling Rose Consulting Corp. is a full-service business consulting company that provides business consulting, marketing, marketing implementation, finance, accounting and technology strategy consulting. The company has written more than 500 business plans and more than 400 marketing plans, which have resulted in a 97% success rate for acquisition of capital for clients. Sterling Rose Consulting Corp. believes in helping businesses of all sizes to launch, grow, sustain and succeed. It is their goal to exceed the expectation of all clients. Office Creations is a 100% woman-owned office furniture dealership headquartered in Suwanee, with additional showrooms in Midtown Atlanta and Jacksonville, FL. With more than 15 years of experience, Office Creations provides the highest value for clients in all vertical markets, to include commercial, industrial, higher education, healthcare and government. They offer a turnkey solution to allow complete project control from conception to installation, and is known for an agility and speed to market, enabling clients to make the right decisions in creating the most design driven and financially prudent office environment for their culture. Vitality Med Spa specializes in helping individuals to look and feel their best by offering boutique concierge medical and beauty services. They love improving themselves as individuals and understand that being the ‘best version of you’ encompasses a multitude of different aspects. While constantly evolving in the industry and to meet the needs of clients, they try to offer services that people want and that truly make a difference. Espeuté Productions is a memory-oriented, multi-tiered production company that provides videography, photography and entertainment services to its clients. With state-of-the-art equipment, experience and professionalism, they are able to capture every detail of life’s most defining moments. They can also assist in the production of major works, such as short and feature films, as well as with commercials and corporate marketing videos. They are passionate about what they do and always come prepared to accommodate your every need.